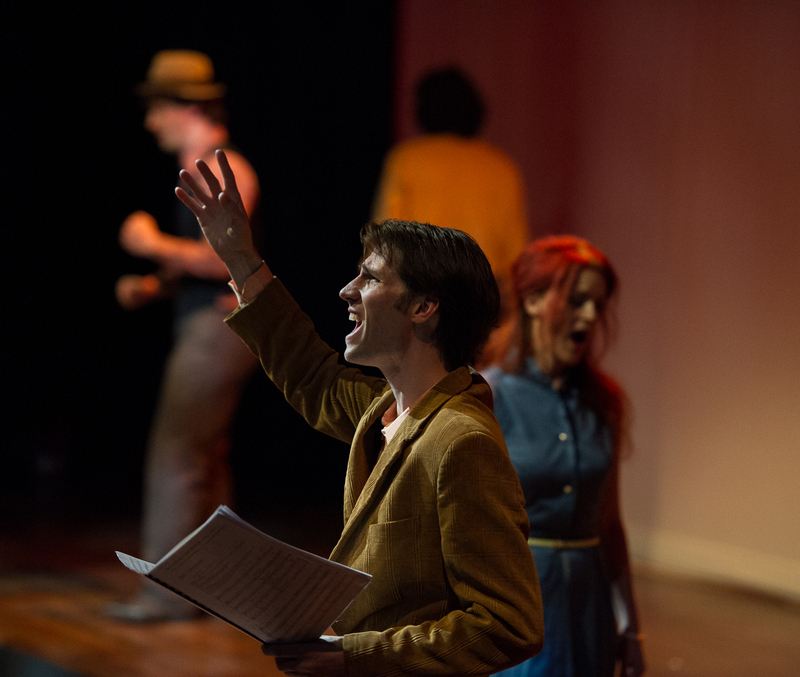 Nieuwe Noten Amsterdam in the PLEIN THEATER! Together with Fie Schouten, we will curate a regular series of concerts and sessions of contemporary music. TEN DIPOLES in the new cd of Seldom Sene by Brilliant Classics. 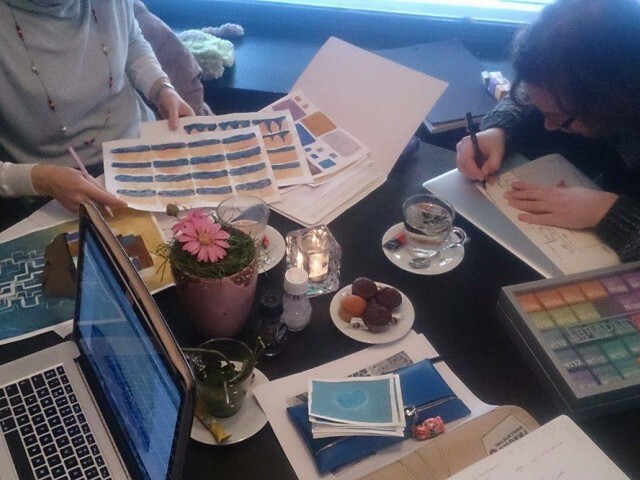 Very happy, since the beginning of 2019 the initiative is hosted by Stichting Cultureland. 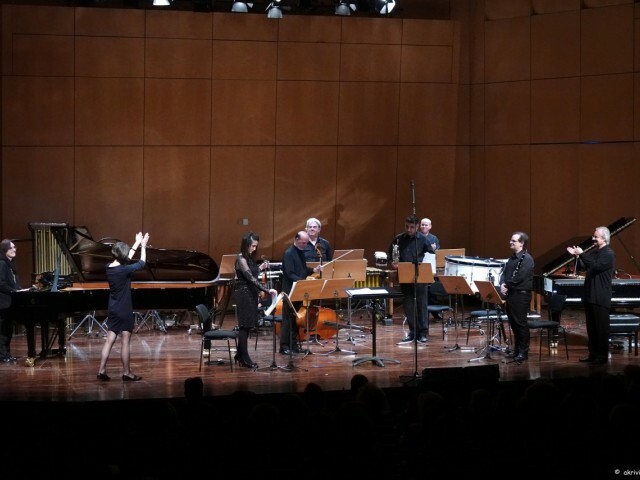 Composer’s Treat congratulates Jasna Velickovic for the selection of her piece Remote Me for 2 remotes and 3 coils to be performed in ISCM World Music Days 2019 in Tallinn.The composition was developed during her residency last April in Buitenwerkplaats and it was performed by Marijn Korff de Gidts in Nieuwe Noten concert series in de Ruimte. 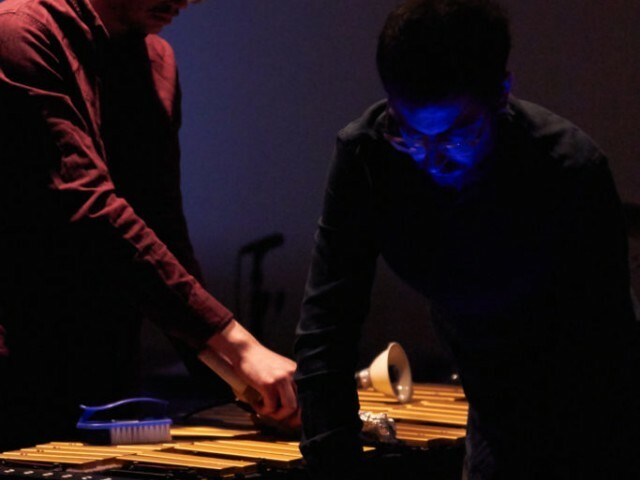 The guest of Composer's treat 2019 Merlijn Twaalfhoven just finsihed his residency! Merlijn, composer and founder of The Turn Club, a lab for arts in society, explores in his projects the richness of cultural diversity and human interaction, often engaging musicians of contrasting styles, local traditions, or children in large events. He collaborates with artists, scientists, diplomats, and other idealists in new and creative ways. The outcome of his residency in a public interactive presentation, 22nd of June. 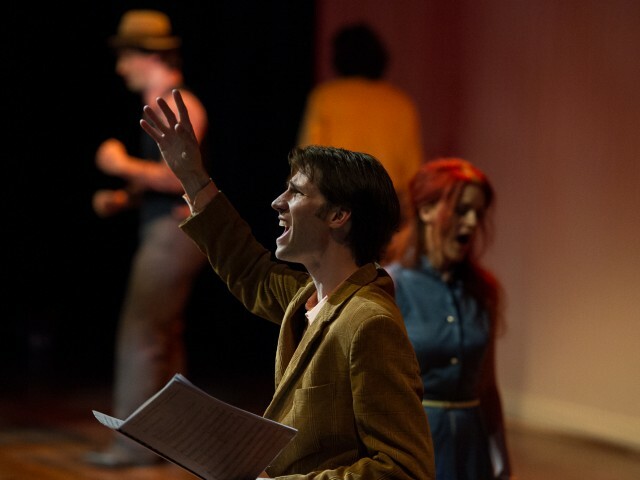 I'm very pleased to have on board the British actor and singer Kevin Walton for the premiere of the entire cycle 3X2 in Geelvinck Festival this coming August. The last piece Completeness for baritone and square piano is dedicated to him. 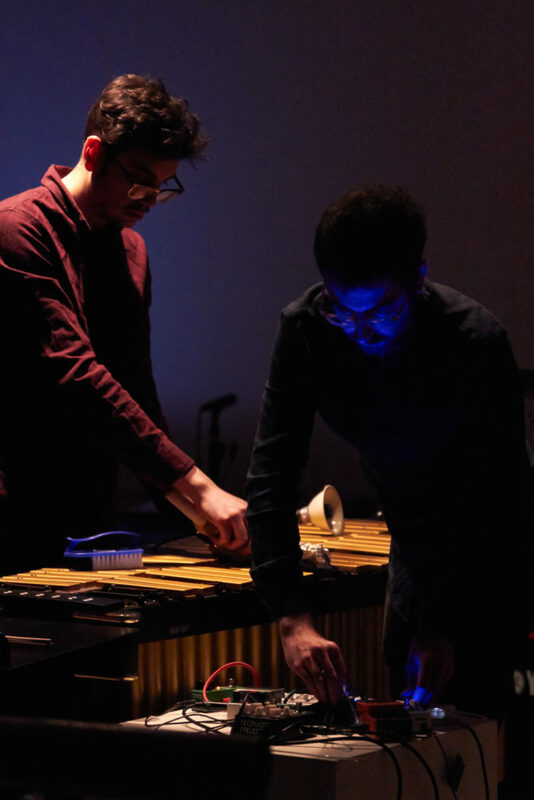 A very exciting collaboration with the composer / sound artist Danny de Graan and reConvert percussion duet for a new theater performance based on the story Leonia by Italo Calvino. 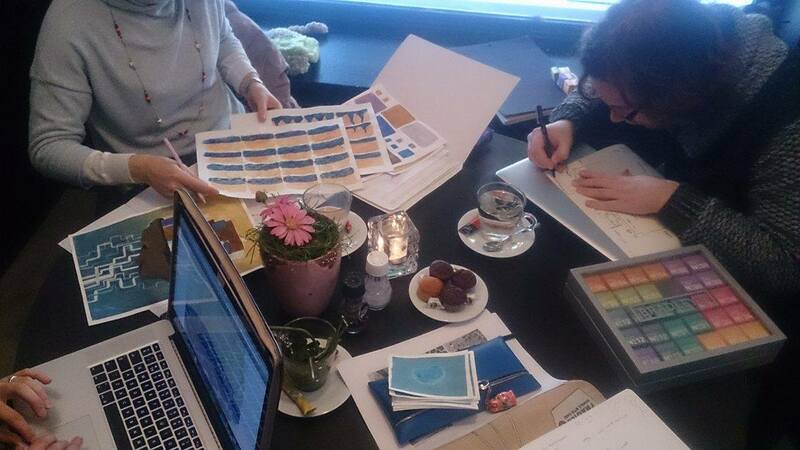 We are preparing a surprising collaboration. A series of compositions (30 min) based on traditional songs from the island Lesbos, for the awarded clarinetist Kinan Azmeh, and Seldom Sene!More details will follow. 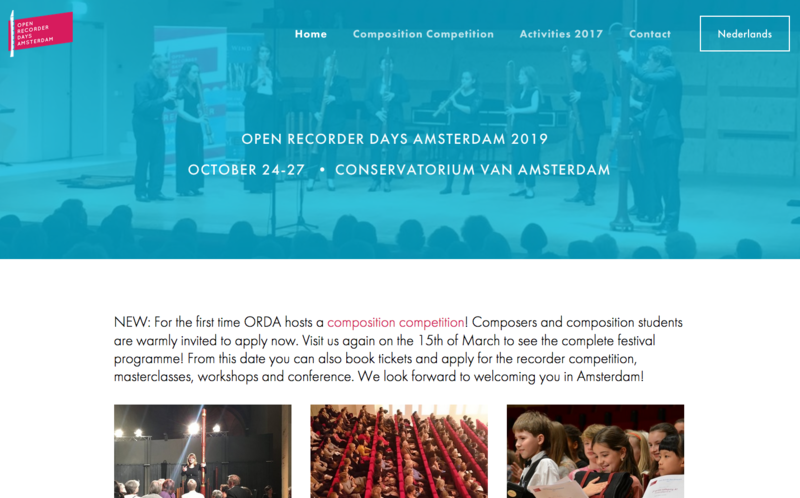 hosts for first time a composition competition open for students that pursue a professional degree in composing and to professional composers. 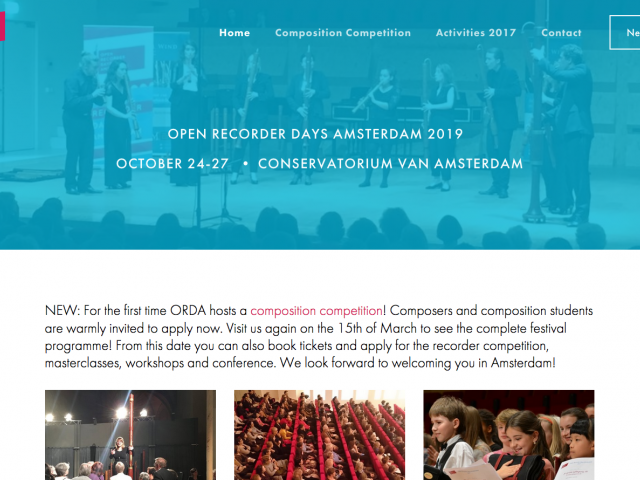 The aim of this competition is to increase the number of high quality ensemble compositions written for the recorder, and to stimulate composers and recorder players to work together by giving a platform to new, challenging and exciting ensemble repertoire.The deadline for submissions is June 15, 2019.Public performance of the finalists compositions on the 27th of October 2019 in Conservatorium van Amsterdam. The new music poetry performance Ikaros with dance, video and decor was in premiere on the 4th of November in Verkadefabriek during the November Music Festival. The video animation for the piece Aqua, for bassoon and percussion is ready! A very nice work from Dymphie Huijssen, Rossane Hustinx and Bram Brandhoff. 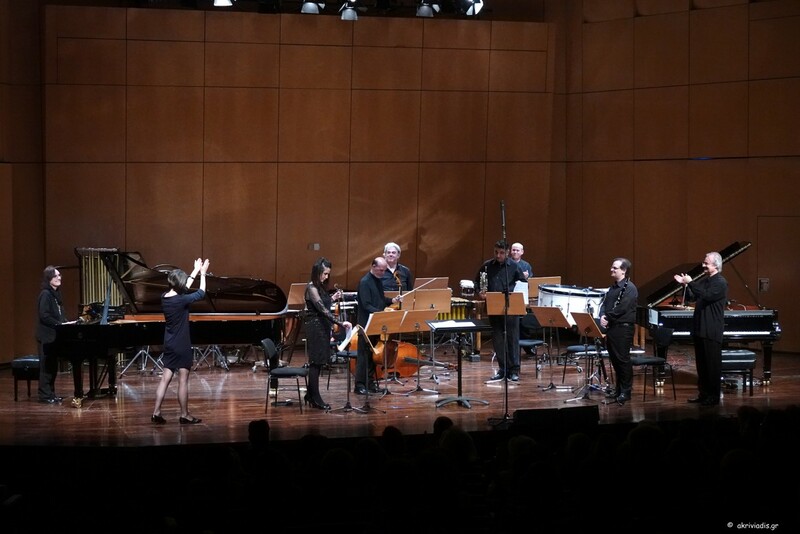 Premiere 9th of October 2018 in Hochchule für Musik und Tanz Köln in Cologne by Bram van Sambeek. Premiere in the Netherlands, May 2019. 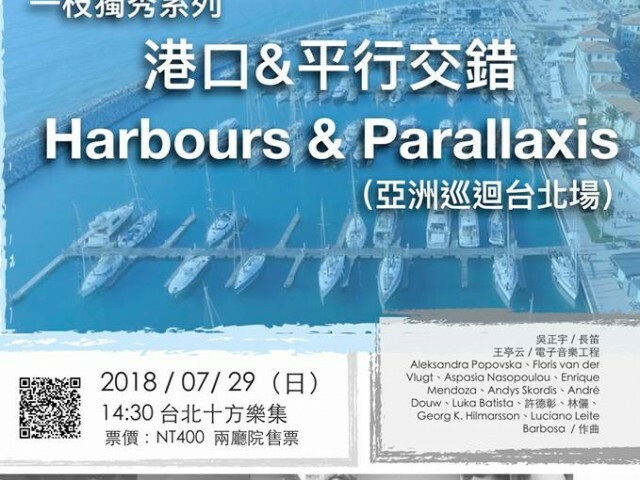 Harbour and Parallaxis an impressive concert, going in tour in China this summer. 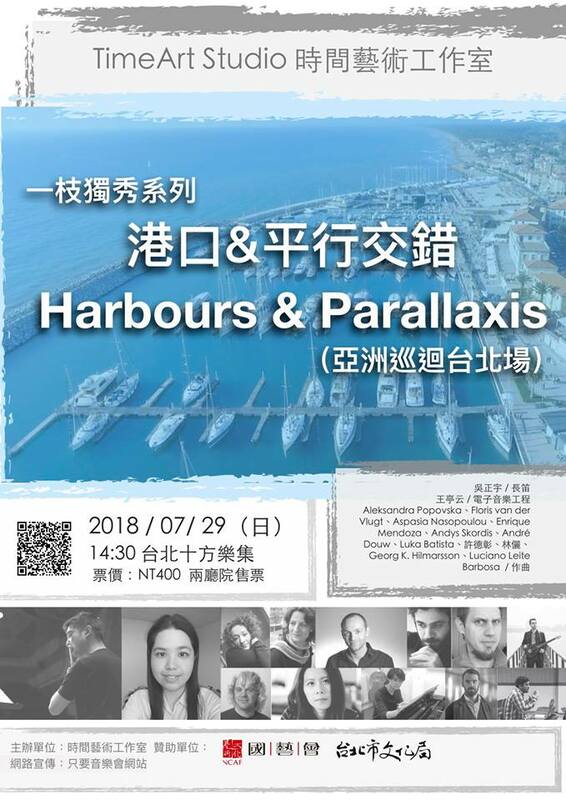 Three pieces of co-composers Amsterdam are in this special event.Very proud for our piece Harbours with Aleksdanra Popovska and Floris van der Vlugt. The piece 3 # 1 for clavichord was in the final of the Composition Competition of the Nordic Historical Keyboard Festival. Olinda and Ochto are in the new released cd of Erato Alakiozidou "In Blue and White" by Odradek. A concert cd/presentation happened in Amsterdam on the 4th of March in Splendor.